EVO-HH Wireless Handheld Remote Add-On saves both time and money and still keep your landscape healthy and beautiful. The EVO-HH system is designed specifically for the Evolution AG Series Controller. Install the Smart Connect receiver in your Evolution AG controller (both sold separately) and remotely control watering and auxiliary zones. You can walk the area, testing, troubleshooting, and/or providing supplemental watering without walking back to the controller. 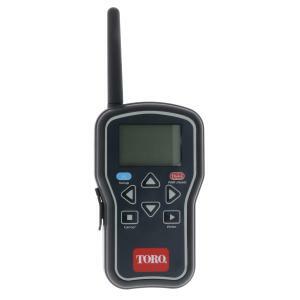 The receiver and handheld device have a 1000', line of site, RF (radio frequency) range. The EVO-HH also has a convenient backlit display for ease of use in early mornings or late evenings.